This past Saturday, I held a Christmas Stamp Camp. Everyone had a great time. Here are the projects that we made. I simply took her idea and changed the "ribbon" which is actually some of the new Deck The Halls Designer fabric from the Holiday Mini Catalog, and the stamped image on top. It's from the Christ Is Born stamp set and the "Merry Christmas" is from the Come to Bethlehem stamp set. A little Gold Glow Smooch Spritz gives the final touch! The final project we made was this cute little matchbox with an assortment of Christmas tags. 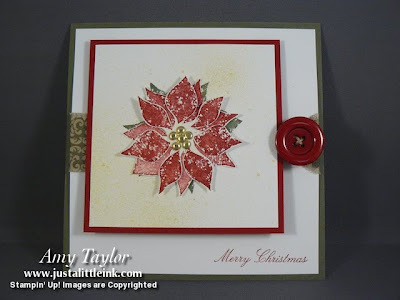 It's made using the Sizzix Big Shot, Match Box die, and the Jumbo Stampin' Around wheel, Jolly Jingles. The tags were made using the stamp set Tags til Christmas. Both the wheel and the stamp set are found in the Holiday Mini Catalog. A bit of Early Espresso 1-1/4" Striped Grosgrain ribbon and 1/2" Cherry Cobbler Seam Binding finish it all off. Oh, and I don't want to forget the little tag on the box. 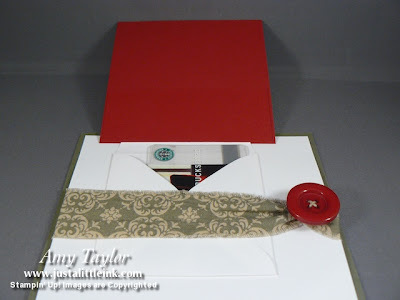 It's made using the Tiny Tags stamp set and the Medium Jewelry tag punch. Thanks for stopping by. I love hearing your comments! I really like your projects. I am always looking for gift card holder ideas. Thanks for sharing. 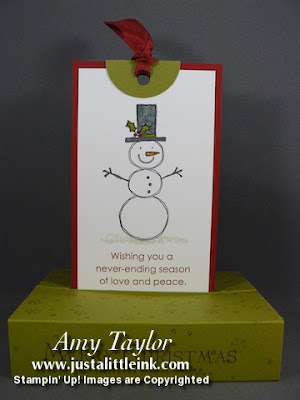 Very pretty cards...love the snowman pop up card! 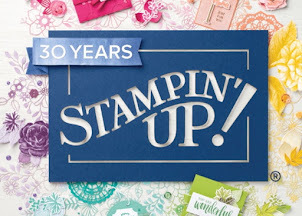 I'm now a follower from Stampin' Connection #277.